Liftoff took place at 8:40 UTC and the initial phase of the launch appeared to go by the book. The launch escape tower jettisoned about 1 minute, 54 seconds into the flight as planned and the four strap-on boosters (collectively called the first stage) about four seconds later. That’s where things seemed to go awry. At the moment the boosters separated from the also-firing core stage (known as the second stage), a cloud of vapor appeared around the spacecraft. From the downrange cameras, the strap-on boosters, normally falling away elegantly in a formation known as the Koralov Cross, were falling randomly along with several more unknown pieces. Seconds later, an automated abort was triggered. But because the escape tower was already gone, it was the engines in the payload fairing that pulled the capsule, along with the orbital module, away from the failing booster. Less than 40 seconds later, a second set of thrusters on the fairing pulled it and the orbital module away from the capsule. Onboard, Soyuz Commander Ovchinin could be heard relaying to the ground that there was indeed a failure of the booster before commanding the Soyuz capsule to begin a ballistic re-entry mode. Essentially, that activates thrusters to begin orienting the capsule’s heat shield toward the direction of travel and began a slight spin to stabilize its trajectory. A short time later, the capsule reached the high point of its arc and began the descent down. During the brief re-entry, the crew experienced g-loads about 6.7 times the force of gravity for a brief moment before slowing down enough for a normal sequence of parachutes to deploy. This began with pilot chutes to release the drogues. That was soon followed by the main parachute. According to NASA in a press conference later in the day, search and rescue teams were deployed immediately following the abort and they met the crew and their capsule the moment they touched down—some 34 minutes after the accident—some 20 kilometers east of Zhezkazgan, Kazakhstan. The crew was alright and were reunited with their families in Baikonur several hours later. NASA said there was little-to-no-impact on the crew’s health. Roscosmos immediately announced an investigation into the incident. Initial findings two days later suggested that an improper separation by one of the four strap-on boosters resulted in a collision with the core stage. Russia’s state commission released a preliminary report on Oct. 20. A final report is expected by Oct. 30. According to an Oct. 20, 2018, report by Russian news service RIA Novosti, a “space agency source” said one of the boosters was improperly installed. The source said a mounting lug was bent before being forced into place. In a normal separation, the lower straps are separated to allow the four boosters to rotate about 45 degrees relative to the core via a ball bearing using the residual thrust of the boosters. At that moment four valves on the core stage (one at the pivot point of each booster) is commanded to open, allowing oxygen to vent. This pushes the top part of the boosters away safely from the vehicle. 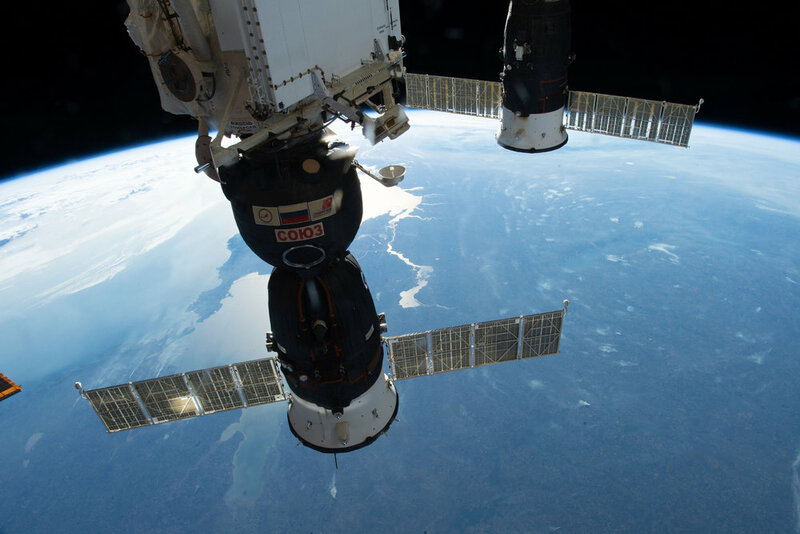 During the flight of Soyuz MS-10, the improperly installed booster couldn’t easily get out because of the bent lug, the source said, resulting in a collision. The crew currently aboard the International Space Station — European Space Agency astronaut Alexander Gerst, Russian cosmonaut Sergey Prokopyev and NASA astronaut Serena Aunon-Chancellor — are fine from a consumables standpoint and with their Soyuz MS-09 spacecraft currently attached to the outpost, they can remain aboard as long as early January 2019. Should the investigation and any subsequent fixes take longer than that, the space station will have to be de-crewed for the first time in more than 18 years. But NASA said that outcome is unlikely. The next major launch to the station was to be Progress MS-10, also atop a Soyuz-FG rocket. Originally, it was slated for Oct. 31. However, it now looks like Roscosmos is aiming to send the freighter into orbit Nov. 18. Russia seems to be comfortable with the findings of the investigation so far, because the country launched its first Soyuz rocket since the accident on Oct. 25. While it was a Soyuz 2.1b rather than a Soyuz-FG, its first and second stages are nearly identical. At least two more Soyuz rocket flights are expected (including that of Progress MS-10) before the next crewed flight — Soyuz MS-11 — is launched. 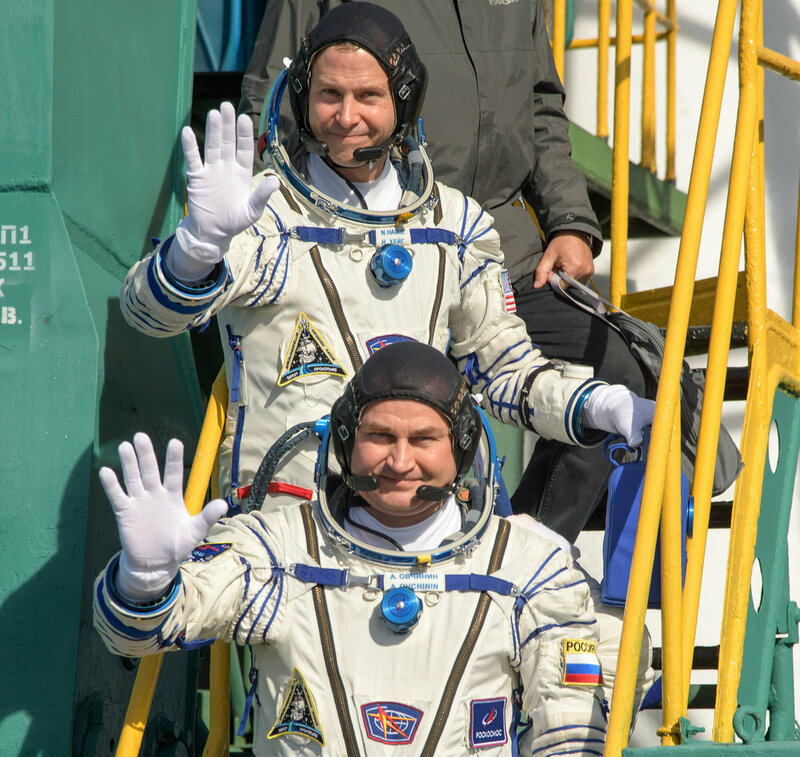 Soyuz MS-11 was originally slated to launch Dec. 20 with Russian cosmonaut Oleg Kononenko, Canadian astronaut David Saint-Jacques and NASA astronaut Anne McClain. However, there is a possibility their flight could be moved forward as early as Dec. 3. Additionally, there has been no new update as to the schedule of the U.S. segment-based spacewalks that were planned in mid-to-late October to upgrade the station’s batteries. Right now, it appears those spacewalks could be rescheduled to occur during the handover period between when Soyuz MS-11 docks and Soyuz MS-09 lands (likely Dec. 20).